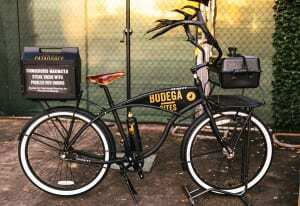 Tequila CAZADORES is hitting the streets at night with custom-designed Priority Bicycles featuring fully functioning grills. Tapping into the red-hot Taco Tuesday trend, Tequila CAZADORES is spicing up three major markets with its Bodega Bites event series. 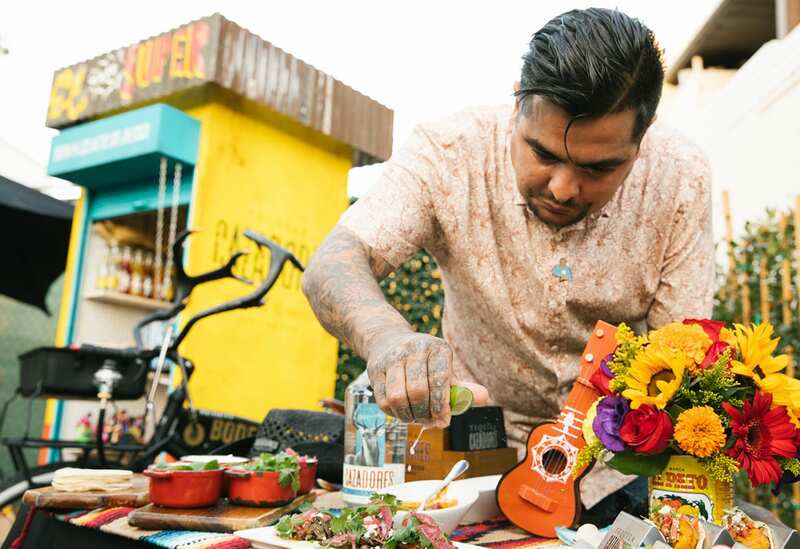 As other brands latch onto fleeting culinary concepts (looking at you, Unicorn Frappuccino), the brand is paying homage to tradition and true craftsmanship with an authentic bodega experience and curated taco dishes served up by celebrity chef Aarón Sánchez. 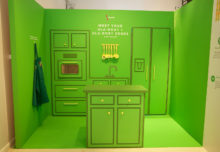 The experience made its way to Los Angeles and Austin on two Tuesdays in September, and is slated for a third activation in New York City on Tuesday, Oct. 10. With origins in Mexico, shining a spotlight on local bodegas and aligning with the Taco Tuesday phenomenon were a natural fit for Tequila CAZADORES. The brand leveraged the conversation around Hispanic Heritage Month, along with Sánchez’s Mexican-American heritage and dedication to craftsmanship, to drive an authentic cultural experience aimed at urban millennials. At each Bodega Bites activation, consumers sip on signature cocktails, like The Good the Bad and the Ugly, featuring Tequila CAZADORES Blanco, mezcal blanco, Aperol and pureed red roasted bell pepper. Drinks are accompanied by exclusive taco dishes created for Tequila CAZADORES by Sánchez, inspired by his trip to Arandas. Each taco recipe highlights a specific ingredient traditionally found at local bodegas and mercados, like Achiote Chicken Tacos with Pineapple-Cilantro Salsa and Chimichurri-Marinated Steak Tacos. Attendees are also invited to step inside the brand’s mini bodega, which is well stocked with authentic Mexican products imported from Arandas, like chicharrónes (a fried pork belly, chip-like snack typically sold in bodegas), Mexican Coke and traditional Mexican dolls and guitars. The space also features products from a local bodega or mercado in each market. Attendees are invited to “shop” inside the mini bodega, where they can fill a brown paper bag full of goodies to take home. 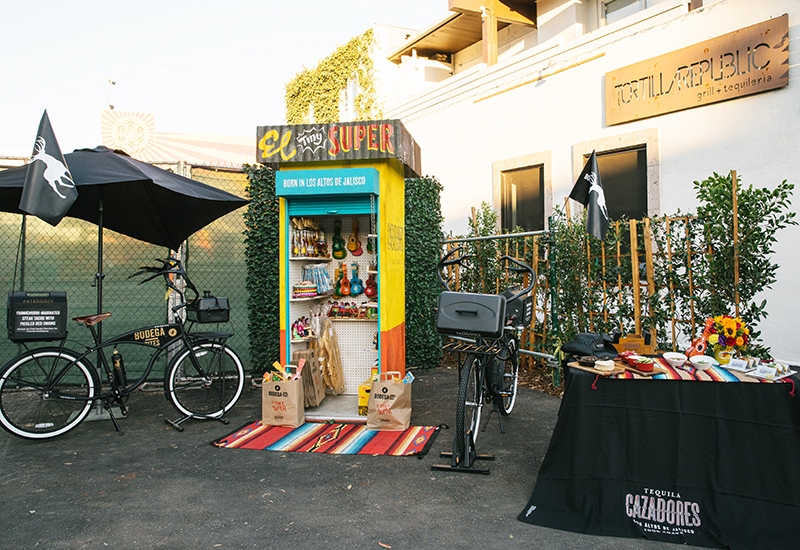 To extend the reach of the program, Tequila CAZADORES is also hitting the streets at night with custom-designed Priority Bicycles featuring coolers and fully functioning grills that deliver Sánchez’s tacos to hungry consumers in popular nightlife areas. 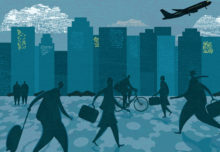 “We believe that great marketing comes down to being able to disrupt consumers where they are, and to share some of the same values and passions that they do,” says Calabrese. “We feel like Bodega Bites gives us the opportunity to engage these local consumers during a time like Taco Tuesday when we know that they’ve already got tacos and tequila on the mind, and then immerse them in our brand in a fun and different way.” Agencies: TEAM Enterprise, Fort Lauderdale, FL; Day One Agency, New York City. Attendees are invited to step inside the brand’s mini bodega, which is well stocked with authentic Mexican products.